This Nissan model is sold only in Asia. Read about it here. 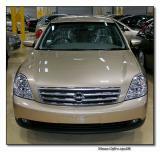 Find Cefiro parts at eBay Motors.